On the other half of our doubleheader, The Matinee ’18 November 13th – Part 2 traverses many dimensions. There are cosmic tunes, a wall-shaker, and a song that is perfect for a wedding. Then there are a few tunes that belong on a film soundtrack plus another that features one of the best voices in the business. If you haven’t already visited Part 1, spin those seven songs after listening to these ones. Back in May, Elias Bender Rønnenfelt (vocals/lyrics), Jakob Tvilling Pless (bass), Dan Kjær Nielsen (drums), and Johan Wieth (guitar) – a.k.a. Icege – released their awesome, politically-charged new album, Beyondless. There are punk records, and then there are Iceage punk records. The quartet are truly incomparable. What makes them la crème de la crème is that they combine edgy, intense music with imaginative yet poignant songwriting. 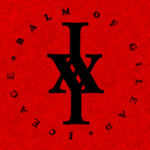 They deliver both once again on “Balm of Gilead”, which is a surprise little single in advance of their North American tour. “Balm of Gilead” is just awesome. From the grimy guitars to the harsh rhythm to Rønnenfelt’s assertive vocals, the song hits you like a Floyd Merriweather combination. Instead of ducking away or getting into a defensive pose, you take in each blow and absorb the Danish band’s power and quiet ferocity. What strikes hardest, though, are what the band has to say, as they cleverly use the Biblical region to describe the state of the world today and how the truth escapes us all. Instead, we are surrounded by just a cacophony of noise and the madness of a tyrannical few. Those of us left behind are “grasping at the Balm of Gilead”, which is a terrific piece of literary imagery. The single is out on Matador Records. If you don’t know who Jacco Gardner is, he’s just simply one of the most creative musical forces around. The Dutch artist, singer-songwriter, composer, and inventor traverses through multiple genres and eras. One moment, he could be channeling The Beatles and on another occasion he’ll be rocking out like Ty Segall. 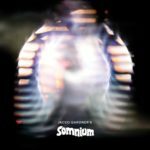 As his new album, Somnium, gets closer to its November 23rd release date, Gardner channels his inner Thom Yorke and Kevin Parker and enters the experimental, instrumental arena. He’s already shared the cosmic Medieval fare of “Volva” and now he shoots through the galaxy with “Levania”. “Levania” is a one trippy piece of neo-psychedelia. Chilling Latin vibes harmoniously intersect with spatial, psych-pop, and the combinations yields a dizzying yet intoxicating affair. It’s like Fry, Bender, Captain Leela, Hermes, and Amy taking a joy ride through the Andromeda Galaxy, except you’re not watching a Futurama episode. All of this happening in your head. What exactly will you find or what will be your eventual destination? That’s for you to decide. Gardner, though, draws inspiration from Kepler’s 1608 sci-fi novel, Somnium, as he attempts to recapture the feeling of when man first walked on the moon nearly 50 years ago. Polyvinyl Records (North America), Excelsior Recordings (Netherlands), and Full Time Hobby (rest of the world) will release the record. Pre-orders are available on Bandcamp. Most people know Murray A. Lightburn as one of the co-founders and co-front persons of Montreal indie favorites, The Dears. He is also known as a tireless worker and artist, where he’s either constantly writing new songs or supporting others to fine-tune their work as a collaborator, producer, or confidante. For a few months, though, Lightburn will set aside the numerous projects and focus on his own solo endeavor. While he could have used his latest batch of songs for a new The Dears album, he, in his words, felt like they came from a different place. 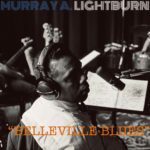 When hearing “Belleville Blues”, one can immediately understand why he’s releasing his new material alone. “Belleville Blues” is a beautiful, soul-infused pop ballad. It defines grace and eloquence, and it will leave a smile on your face when it’s finished. It will also make you fall in love all over again with the one who sleeps next to you each night. Lightburn’s poetic lyrics are intimate and heartfelt, and one can assume they were written for his The Dears’ collaborator and wife Natalia Yanchuk. He describes their importance to one another and how they complete each other. “I need you to save me from myself”, he passionately sings. These words, this song will make for a great wedding tune. Lightburn’s new album, Hear Me Out, is out February 22nd, 2019 on Dangerbird Records. Expect more of a retro-inspired approach as Lightburn channels the legacies of Sam Cooke, Al Green, and Marvin Gaye. Early into her musical career, ATO Records signed Nilüfer Yanya. While signing an unknown, young talent is often viewed as a gamble, there were no inherent risks with adding the London-based, then 21-year old artist. With one of the great voices in the business and serious songwriting chops, Yanya has superstar potential, where she could either be her generation’s Billie Holiday, Amy Winehouse, or Mariah Carey. Although she’s only released a handful of songs, she’s developed a strong following, and her legend should grow with “Heavyweight Champion of the Year”. Whereas many artists her age go with the gusto and grandeur, Yanya keeps this on the low key and minimalist for most of the song. Only until the climax does her full band raise the level of intensity, but even then the euphoria is achieved through subtlety and simplicity. This approach allows Yanya’s multi-octave voice and engaging lyrics to shine. As her voice soars, she encourages herself to soldier on despite the stress she feels and people giving up on her. She is, after all, going to be a heavyweight champion within the music realm, as her potential is limitless. The storytellers are back! This is one of the biggest compliments we can give an artist or a band, and Brighton collective Other States are indeed literary stars. They have consistently amazed us with their ability to craft creative stories à la Nick Cave, Tom Waits, and even Quentin Tarantino. 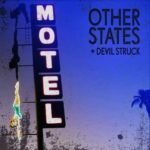 On “Devil Struck”, they take us to the deserts of the US Southwest and its ghost towns. As the twangy Cowboy-psych vibe spins in the air, front man Mark S. Aaron’s scintillating baritone (which still is the closest thing to The National’s Matt Berninger) tells the tale of a man trying to find anonymity in places where no man exists. He, however, is not alone, as he encounters visions and faces. Suddenly, his “best laid plans fell to new demands” and he’s made a deal with the devil, who has a softer voice than expected and keeps him running. He has found some meaning to his life, although what he must do is unknown. Maybe it’s to continue to make our imaginations run wild while slowly grooving to the titillating music. How many bands can put the drama, suspense, and cinema into their music and words? Not too many. Other States are Mark S. Aaron (lead vocals), Mike Lord (piano/backing vocals), Cameron Dawson (bass), Max Numajiri (guitar), Lb (percussion/backing vocals), and Lawrie Miller (drums). Two years ago, then 16-year old Pip Hall had us awestruck when she released “Devil You Don’t”. Now that she’s legally an adult, she continues to find new ways to amaze. 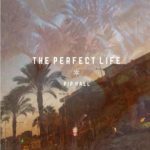 This time, she rekindles our love affair with ’90s coming-of-age films and the indie pop that occupied soundtracks like Singles and Empire Records with “The Perfect Life”. The dream-pop approach is ravishing, and the lingering guitar, in particular, is stunning. Hall’s voice, meanwhile, is lusher and fuller, and it’s one that any person would want to hear each morning. But on this day, Hall is alone because she has moved on from the 6’2″ guy who won’t look her in the eyes anymore nor see her for who she is. Her perfect life is now starting all over again. So I’ll make it on my own. This young woman, though, has nothing to be ashamed about. Instead, she has much to celebrate because she’s an impeccable talent with a bright future. For further proof, take a listen to Hall’s debut album, Everything Before, which is out now on My Little Empire Records. Get it on Bandcamp. 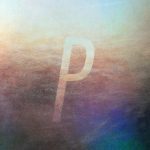 We’ve said it before but it’s worth repeating – Postiljonen are one of the great dream-pop bands on the planet. Their music can exhilarate or make one contemplate. They can leave people saying “ooh” and “aah” or just being silent while dancing under the sumptuous production. For their first single in more than 18 months, they leave listeners doing the later. “Chasing Stars” is pure euphoria. Searing synths burst like fireworks on New Year’s Eve while the percussion and beats are the ear-ringing explosions that follow. The addition of the grizzled guitar in the climax is a new trick in the band’s repertoire, and it further adds to the song’s contagiousness. As the instrumentation cascade into a wall of brilliant sonic color, front woman Mia Brox Bøe showers us with her ravishing voice, which re-energizes our souls with each word she sings. Her lyrics, too, offer inspiration, encouraging everyone and anyone to think big and go after their dreams. And with a song like this as the wind behind our sails, we can believe in the impossible. Postiljonen are Norwegian born Mia Brox Bøe and Swedes Daniel Sjörs and Joel Nyström Holm. The single is out now on Hybris.